Managers and staff in the South African non-profit (NPO) and civil society sectors are increasingly dealing with extreme workplace stress due to, amongst other factors, growing socio-economic challenges and uncertainty about funding. It’s essential that they take steps to avoid burnout if they are to continue their vital work. This is according to Inyathelo, the South African Institute for Advancement, which has been providing support to local NPO organisations and the Higher Education sector for 16 years. According to the Department of Social Development there are over 200 000 registered NPOs in South Africa. “NPO leaders and employees are tackling increasingly heavy workloads as social and economic conditions become more challenging, in turn increasing the demand for their services,” says Inyathelo Operations Director Feryal Domingo. “NPOs already cope with limited or erratic funding. Now many donors have less to give, and in the case of international funding, there is the threat of decreasing or no funding, given changes in US foreign policy. This is putting added pressure on NPO managers and staff. “Members of the NPO sector are also generally extremely dedicated and find their work highly meaningful. However, there is the challenge that they are so committed to the cause, with complete buy-in to the mission of the organisation, that they often overlook their own mental and physical wellness,” says Ms Domingo. She said that some NPO employees have neither other work options, nor job benefits such as pension or provident funds or medical aid. These staff have no choice but to remain at an organisation, and often are not even aware that they are spiralling towards burnout from stress, because this is the only income they have, the job market is shrinking and finding alternative work is hard. 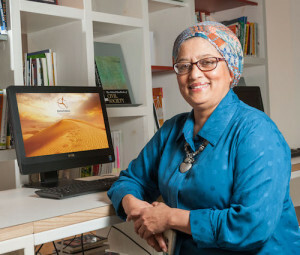 Dr Renata Schoeman, a lecturer in Leadership at the University of Stellenbosch Business School, has said that burnout, anxiety disorders, stress and major depression related to work cost South Africa’s economy over R40 billion a year. “Burnout was historically first described in nurses and doctors, and the same would apply to NGOs as for the other caring professions,” she said, quoting Lund et al, 2005 and 2013. The American 2015 UST Nonprofit Employee Engagement & Retention Report reveals that on average more than 20% of nonprofit supervisors and employees report that staff are “very often” stressed. When non-supervisory employees were asked how likely they were to consider leaving their jobs within the next year, nearly a third were “somewhat likely” to “extremely likely” to leave their jobs. Unlike many other work sectors, in the NPO arena an individual often wears many hats and could be responsible for diverse areas such as human resources, office administration, finance and IT. If overworked staff do leave an NPO, there is not only a greater workload for their colleagues who remain, but also the risk of losing continuity in many areas of the organisation. The UST Report says an NPO could potentially save money in the long run by hiring another staff member, so reducing the burden on current staff. Bringing in more resources timeously could be cheaper than dealing with staff turnover, which might include expenses such as unemployment claims, recruitment costs and lost productivity. US NPO sector advice gurus Beth Kanter and Aliza Sherman, in their book The Happy, Healthy Nonprofit: Impact without burnout, emphasise more sustainable ways of working and taking better care of oneself. Their advice, applicable not only to NPOs, includes paying attention to essential needs such as sleep, nutrition and exercise; taking holiday leave and disconnecting from mobile devices that connect one to work; setting boundaries and making time for outside interests. American NPO author and consultant Joan Garry advises prioritising tasks – some things can be tackled another day. She advises leaders to discuss the subject of stress with their staff and ask for their suggestions on how to reduce burnout. Let employees know that you really appreciate them – and be creative in how you do so. • Mental health problems cost SA’s economy billions per year. Renata Schoeman. BusinessLive. • Four Smart Ways to Avoid Burnout for Nonprofit Professionals, Beth Kanter. Guidestar Blog. • My Biggest Professional Mistake. Joan Garry. joangarry.com. • Psychosocial Work Environment Exposures as Risk Factors for Long-Term Sickness Absence Among Danish Employees, Thomas Lund, et.al. JOEM.